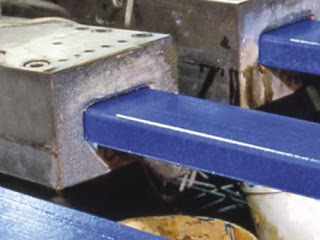 A basic definition of Fiber Reinforced Polymer (FRP) is a composite material comprised of fiber (aramid, carbon, or glass – being the most common) and polymer resin commonly referred to as epoxy. FRP is a generic term for Aramid Fiber-Reinforced Polymer (AFRP), Carbon FiberReinforced Polymer (CFRP), and Glass Fiber-Reinforced Polymer (GFRP). FRP used for strengthening civil structures traces its roots to the mid-1980s with the first installations occurring in Europe and Japan. Today, thousands of rehabilitation projects around the globe have employed these composites to add strength to concrete, masonry, timber, and steel structures. The motivation to develop FRP for civil structures was to provide an alternate to conventional strengthening methods. 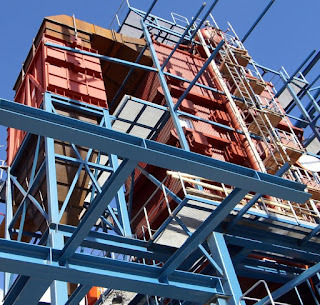 Some of the conventional methods include steel plates epoxy-bonded to concrete, steel plates bolted to concrete, and steel plate jacketing of round, square, and rectangular concrete columns. The obvious disadvantage of conventional methods is that they are heavy and difficult to install. In addition, once steel yields, it will stretch with little strength gain. However, FRP is linear-elastic to failure. It has roughly the same tensile modulus as steel; thereby, making it a nice alternative to steel. Contact Process Systems & Design to discuss more about the use FRP in industrial process design and construction. Visit https://www.processsystemsdesign.com or call (410) 861-6437.